After reading a board book starring Chu, an adorable panda, I was eager to read Chu’s First Day of School. 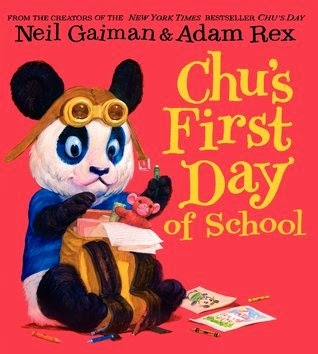 In this picture book, Neil Gaiman and Adam Rex, send Chu to school for the first time. Will his sneezing troubles ruin his first day? Like all children (including those of the panda variety), Chu is worried about the other kids at school and whether or not they will like him. His parents assure him that they will, but Chu is not so sure. Each one of the children (really animals) at school, tell their names and one think that they love to do. The giraffe and the monkey have no problem saying what they like to do. Neither do the robin or the hippopotamus. But when they get to Chu, all he can do is let out one colossal sneeze! Of course, this wreaks havoc on the classroom, but everyone still likes Chu. He is able to tell his parents what a great first day he had. 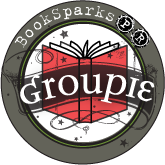 I really liked this book for several reasons. One, it deals with the back to school anxiety that many children deal with, and it reassures them that they will be accepted and loved at school. In addition, I love that the animals, representing the students, are all different and are able to tell what makes them special. Promoting diversity from an early age is always something positive. Finally, this book encourages children to look to their parents for reassurance and guidance. Chu’s First Day of School would make a great addition to any child’s library, and I highly recommend it for teachers and parents to read especially around back to school time. Fantastic!